The end time and the end of financial markets! The end time and the end of financial markets! What is Forex Oscillator and why do we need them? What is Forex Oscillator and why do we need them? Having fun by watching Forex jokes. Have not you an Accont? 09:30 GMT – UK – Construction PMI (Nov) – The market is looking for only a modest decline to 58.5 from 58.8, still a very high level. The construction sector is an important one for the UK economy, so any release significantly outside of market forecasts is likely to have an immediate impact on GBP. 10:00 GMT – Euro Zone – CPI (YoY) (Nov) – The market expects a slight uptick in headline inflation but to a still very low 0.2% yoy, while core inflation is expected to remain at 1.1% yoy. Given this data comes just a day before the ECB’s December meeting and possible introduction of further easing measures, this release takes on greater significance. 13:15 GMT – USA – ADP Non-farm employment change (Nov) – The ADP National Employment Report acts as a gauge, however imperfect, for Friday’s official government release of the nonfarm payrolls. The market expects an increase of 190k jobs, up slightly from 182k. Any outlying number is likely to have an immediate impact on the USD as it could affect investors’ views on whether the Fed will tighten in December (now priced in as 72% likely). 15:00 GMT – Canada – Interest Rate decision – A Bloomberg survey of 16 leading economists has all of them calling for no change in rates. It’s therefore likely to be more about what they say than what they do. See Tuesday’s comment for my view on what they are likely to do. 17:25 GMT – US – Fed Chair Janet Yellen speaks – She will deliver a speech on the economic outlook to the Economic Club of Washington. The market will of course be listening for hints about what will happen at the FOMC meeting on Dec. 16th. San Francisco Fed President John Williams will also speak on the outlook later in the day. Today’s Market Insight: ECB Meeting: What might the market reaction be? Tomorrow is the day we’ve all been waiting for – well, one of the days we’ve all been waiting for: ECB Day! The European Central Bank (ECB) Council will meet to decide to set monetary policy. ECB President Draghi has dropped sufficient hints that they are likely to expand their quantitative easing (QE) program that it’s nearly a foregone conclusion that they will do something. The only questions are: what will they do and will it be enough to satisfy the market? A Bloomberg survey showed that almost 80% of market participants expect them to extend the QE program past Sep. 2016, around 65% expect them to increase the amount of purchases, and about half expect them to broaden the range of assets that they buy. Certainly, the considerable flattening of the Bund yield curve and the further decline into negative yield territory from before the previous ECB meeting despite the slight upturn in EU inflation shows that the market is expecting an increase in the amount of bonds purchased, whether it’s an increase in the amount per month or an increase in the number of months. The market is forecasting that they will at least cut rates. The Euro OverNight Index Average (EONIA) generally trades between the ECB’s refinancing rate (currently 0.05%) and its deposit facility (currently -0.20%). EONIA futures are now forecasting that it will hit -0.38% by November 2016. EONIA is currently trading 6 bps over the deposit facility, so that would imply a deposit facility of at least -0.44% — or more likely, -0.50%. The Bloomberg survey shows that the market expects the ECB to cut the deposit facility rate to -0.30%, with several economists looking for -0.40% (plus a few other outliers looking for an unchanged or -0.25% rate). No change is forecast for the refi rate or marginal facility. If they do cut the deposit facility rate further to -0.30%, then the key to the direction of EUR/USD, in my view, will be how strongly Draghi makes the case that further rate cuts are likely. If he does not, we could see some serious profit-taking on short EUR/USD positions as the market reassesses its view on the future course of rates. The speculative community is quite short of EUR, as shown by the Commitment of Traders’ Report, and there could be a large reshuffling of positions. My personal view is that Mr. Draghi is probably well aware of these dynamics. He is also an accomplished player of market psychology. I don’t think he would have dropped so many hints of a major move if he wasn’t sure that he could over-deliver. Given the weak external trade environment for the Eurozone, he probably wants to see EUR/USD weaker, not stronger. So I expect that he will try to outdo market expectations. Please note however that he hasn’t shared his intentions with me personally, so this is only my own expectation. Assuming you want to take a view on the outcome of the speech, which currency pair should you use? The choice basically comes down to EUR or CHF, with SEK a possibility too. These tend to be the most volatile on ECB days, as the graph below shows. The performance of CHF was probably affected by the fact that for much of the period being examined it was linked to the EUR by the Swiss National Bank (SNB). Nonetheless even after the floor was removed in January, USD/CHF tended to be more volatile on ECB days than other major currency pairs, as the graph below shows. Note the SEK is also unusually volatile on ECB days, too. CHF and SEK are probably more active because the SNB and the Riksbank are to some degree “shadowing” ECB policy, and if the ECB moves, then those two central banks are likely to move, too. Thursday’s ECB meeting will therefore have important implications for the SNB meeting on Dec. 10th and the Riksbank meeting on Dec. 15th. 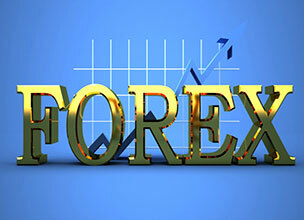 we will inform you Best Forex Brokers news & best. Free forex brokers bonus. Copyright © 2013-2019 PipSafe.com. All Rights Reserved.